This section describes what happens to a character when the player makes either the best roll possible or the worst. The best success is called a "critical" success, while the most horrendous failure is called a "critical" failure. Either way, these two scenarios can make for darkly humorous or downright grim consequences. There are two dice that can be considered for critical successes or failures: The twenty sided die, and the percentiles. Both these dice are used extensively in physical combat, spirit combat, saving throws, ability checks, thieving checks, and divine intervention. The scenarios below displays the qualifications for a critical success. The scores listed are unmodified die rolls. In other words, a roll of 1d20=17 that has a +3 modifier does not count as a critical success. Likewise, neither does rolling a 2 on a 1d20 using a damaged sword (-1 penalty) constitute a critical fumble. Likewise, when percentiles are used, 01-05 and 96-00 are considered "critical" scores (these are raw scores without modifiers.) Critical successes earn one wish piece for the Player. 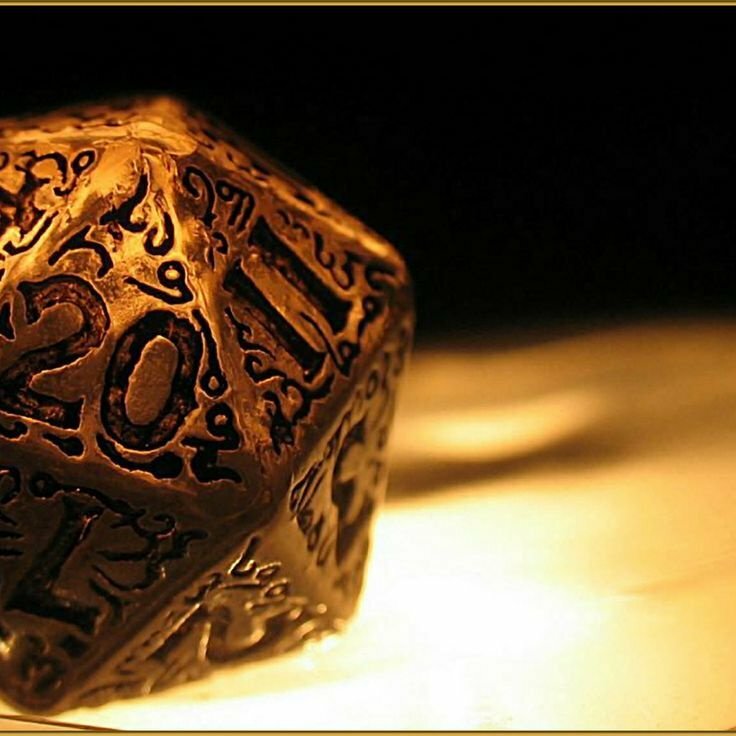 When determining the result of the critical success or failure, the Player (or alternatively the GM) rolls a d20 for the outcome. The GM can also improvise a suitable result if the rolled result doesn't make any sense for the given situation. The improvised result should be of a similar level of sanction/reward as the rolled result. 1: An ordinary success, but with extra special effects. You look good doing it. 5-8: Refreshing boost - Character regains 1d4 points of Body-Mind-Spirit. 9-12: Innate power triggers at 50% extra power (yield, duration, range). 13-16: Innate power triggers at 100% extra power (yield, duration, range). 17-19: Free activation. Additionally, no BMS is expended. 20: Free activation, no BMS expended, and triggers at 100% extra power. 1: An ordinary success, but move looks pretty flashy! 2-4: Off-balance: Your enemy stumbles and loses the next parry. 5-8: Disarm: Enemy must make a Skill check or drop weapon. Unarmed = lose next parry. 9-12: Quick hit: You can take an extra swipe at your target (immediately, but no modifiers). 13-16: Serious bleeding: Target takes 1d6 damage from blood loss for the next 1d4 rounds. 17-19: Crushing blow: Target takes double damage from the unusually potent strike. 20: Crippling blow: Target must save vs System Shock or take a Dreadful Wound. 1: An ordinary success, but everyone notices your precision! 2-4: Sensitive Strike: +3 damage due to striking a sensitive area of the target's body. 5-8: Target Lock: +4 to Hit for the next two attacks with the same weapon vs same target. 9-12: Rapid Shot: You can take an extra shot at your target (immediately, but no modifiers). 13-16: Armor Piercing: Next shot at same target ignores physical armor/shield. 17-19: Impaling shot: Target loses 1d8 HP for the next 1d4 rounds..
20: Crippling shot: Target must save vs Magical Weapon or take a Dreadful Wound. 1: An ordinary success, but it was still a damned good parry! 2-4: Push-back: Enemy stumbles and loses remaining attack routines. 5-8: Shield Bash: Free attack against enemy using parrying device (instant, no mods). 9-12: Defensive Vigil: +4 to Parry against same enemy using same weapon for next 2 rounds. 13-16: Take a Chance: Enemy stumbles; take free attack with main weapon (instant, no mods). 17-19: Reflection: Half of parried damage reflects to the attacker. 20: Sentinel: Character gets 4 parries per round for this round and next round. 1: An ordinary success, but it looks flashier with extra special effects. 2-4: Lucky Invocation: Gain extra wish piece (i.e. two pieces instead of just one). 5-8: Recover Energy: Regain 10 SP or 1 BMS (whichever is more applicable). 9-12: Efficient Discharge: The spell/power uses only half the usual SP or BMS. 13-16: Energy Surge: The spell yields 50% more power (damage/healing, range, duration). 17-19: Supercharge: The spell is doubly potent (2x damage/healing, range, duration). 20: Masterful Invocation: Free activation and double potency. 1. Power Surge. Character is stunned for 1d4 rounds (I.e. defensive actions only). 2-4: Circuit Breaker. The innate power is overloaded and cannot be used for one day. 5-8: Power Drain. Character loses 1d4 points of BMS. 9-12: Trivial Output: Power gives minimal possible yield at double the BMS cost. 13-16: Half Output: Power output is 50% at double the BMS cost. 17-19: Painful activation: The power succeeds, but the character loses next action. 20: An ordinary failure, but everyone nearby notices and the character looks stupid. 1. Tell-tale Attack: Your body language tells all. Your foe parries at +8 and the parry is free. 2-4: Distracted. Your thoughts are elsewhere and you get last initiative next round. 5-8: Dropped Weapon: Your weapon flies out of hand. Use "Lose Footing" if bare-handed. 9-12: Lose Footing: Enemy gets a free attack due to your stumbling. 13-16: Poor aim: You miss your target and have the possibility of hitting a nearby ally. 17-19: Sprain: Your clumsy blow strains a tendon. 1d4 damage to Skill. 1. Blowout (guns only). Take 1d8 backfire damage. Other weapons = "Terrible Aim". 2-4: Reload Failure: Your gun jams or bow string breaks. Weapon must be repaired. 5-8: Terrible Aim: You miss your target and have the possibility of hitting an ally. 9-12: Recoil Injury: Lose 1d4 points of Skill. 13-16: Enraging shot. Your ruckus draws the aggression of nearby enemies. 17-19: Simple failure: Weapon jams or you drop your weapon. Lose remaining attacks. 1. Open Shot: Your Parrying attempt utterly fails. Take double damage. 2-4: Flattened: You are knocked flat and stunned for 1d4 rounds (defensive actions only). 5-8: Ricochet Threat: Missile reflects off shield and may hit an ally (melee = Dropped Guard). 13-16: Dropped Guard: Enemy gets a free attack (instant, no mods). 1. Grudging Success: Power activates but costs double SP/BMS. 2-4: Trivial success: Power activates but releases the minimal possible yield..
5-8: Costly Failure: Power consumes the usual SP/BMS despite not working. 9-12: Shaken Confidence: Next power activation is at a -4 penalty. 13-16: Splitting Headache: Cannot use spiritual powers for the next 1d4 rounds. 20: An ordinary failure, but everyone nearby notices that absolutely nothing happens.